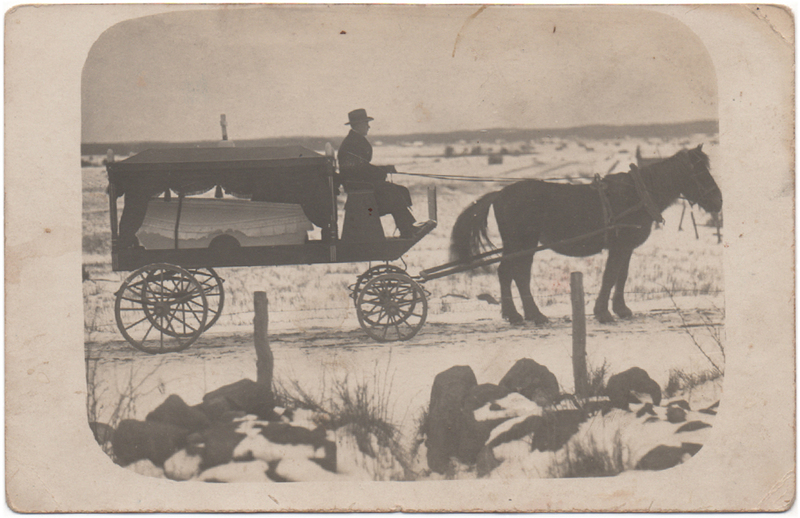 A photograph of a horse-drawn hearse carrying a white coffin on a snowy country road. 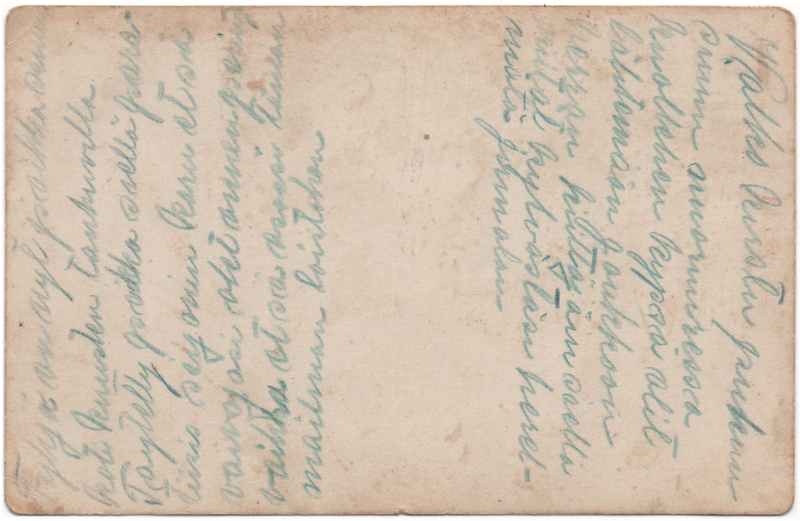 The photograph dates from approximately the 1920’s, and has most likely been taken in Finland. The photographer and more exact location are unknown. The first part was more difficult to read. One word remains illegible, so the whole message is somewhat unclear. It does speak of an empty place the deceased left behind and how whoever wrote this thought that the deceased was a lucky person, even though… and here is the illegible word. Even though they couldn’t stay in the “brilliance of this world” would fill the gap in a way that makes sense, but I really do not know.